Ortensia is a nationally recognized leader in creating coalitions, collaboratives and partnerships, which have resulted in innovative initiatives that have empowered and ensured participation for low-income communities. She has been working in the Non-Profit sector for over forty-one years in executive management positions serving as a change agent for disenfranchised communities. Ortensia is the second of 11 children born to parents from Mexico and the first to graduate from college. She received two Bachelor of Arts Degree in Psychology & Chicano Studies from Los Angeles State University and obtained her Master’s Degree in Urban/Social Planning from the University of Southern California. She also is a graduate from the Institute for Executives of Non-Profits from Springfield University in Massachusetts. 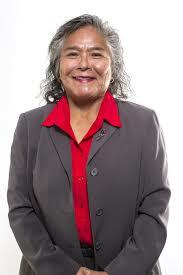 She currently serves on California Public Utilities Commission Low-Income Oversight Board. Co-Chairperson and founding member of Greenlining Institute, Vice-President Chicana/Latina Foundation, Director, Director of Comerica Advisory Board, California Community Builders, Solar Oversight, Community Housing Opportunities Corporation and CHOC Ventures and PG&E Community Renewables Program Advisory Group. Awards: Ortensia has earned KQED’s Local Hero Award (twice), Hispanic Magazine’s “Hispanic Achievement Award”, San Francisco County and City’s “ADELITA Award”, “Lifetime Leadership Award” from the Latin –American Student Organization and was inducted into the “San Mateo County Women’s Hall of Fame in 1995. On September 25, 1999 she was presented the prestigious “Simon Bolivar Leadership Award”, by the Hispanic Community Foundation, recipient of League of Women Voters of San Francisco “Woman Who Could Be President”, California Latino Civil Rights Network award for her community activism, Greenlining Lifetime Achievement, Black Economic Council Mensch, Latino Issues Forum Community Leadership, and San Francisco Hispanic Chamber of Commerce Community Leadership awards, Mission Language Vocation School Community Leader Award, Latino Leadership Magazine MAESTRO Award and United Way Dream Makers Award; and was inducted into San Mateo City Library Hall of Fame.